It was an incredible day yesterday for our Re-enactment march. Perfect weather, great crowds and a great attendance of Kurrajong relatives, supported by the Inverell Police, NSW Mounted Police in histoircal costume, Light Horsemen, Inverell Pipe Band,current Veterans, other WW1 relatives, Red Cross, Cadets, the 1st Regisment Royal Artillery Band from Brisbane, Schools, Masons, Rugby Club members, Guides, Scouts, the old fire engine, St Johns Ambulance and the Royal Australian Artillery Historical Company 18 pounder gun drawn by 4 horses. Thank you to everyone who helped with the organisation, participated and came out to cheer the marchers. 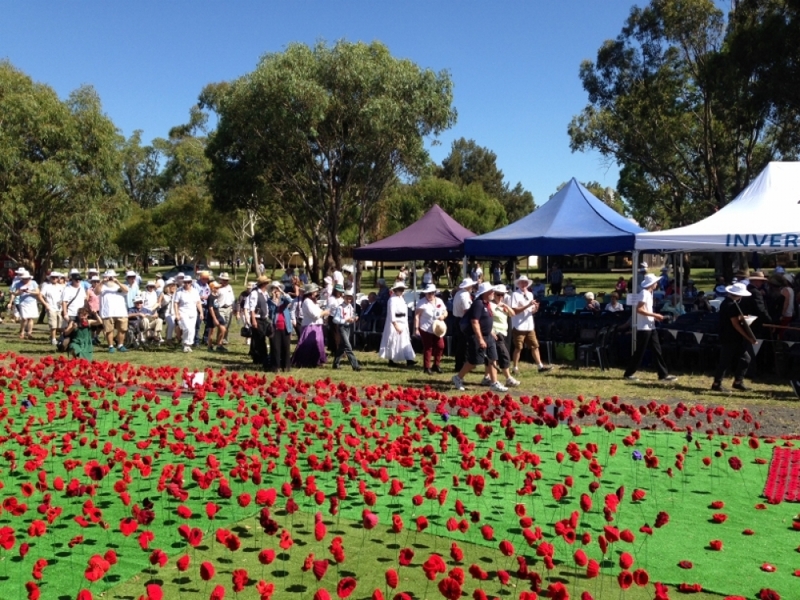 Here are great photos of the march courtesy of The Inverell Times newspaper. Other images can be found on the Inverell Remembers and Tourism Inverell Facebook pages and news video links on NBN Newcastle and Prime7 Tamworth news pages.